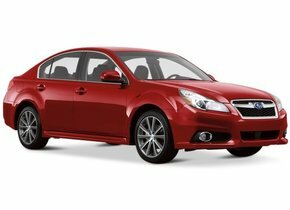 When and how to replace the rear window of a Subaru? If you have a car of the Japanese brand Subaru, then the rear window replacement may be necessary after an accident or by vandalism. This is because the rear windows of cars can break into thousands of pieces when impacted hard. 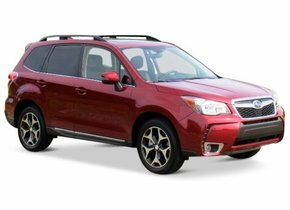 Replacing the rear window of the Subaru is inevitable when the car window is broken if you want to get on the road safely again. Fortunately, rear window replacement does not have to cost the top price if you choose an after market car window. How this works and how we can keep prices so low, you can read on later. For this we will discuss Subaru's past, which was founded in Tokyo in 1953. Among other things, we talk about the meaning of the six stars in the logo of this brand. Due to the interference of Japan in the Second World War, everything changed in the Asian country after 1945. This was certainly true for the car industry. Already in 1915 one of the forerunners of the current Subaru was founded as The Aircraft Research Laboratory. As the name suggests, it was an aviation company. They specialised in the manufacture of military aircrafts. During the Second World War the Japanese Air Force consisted for a considerable part of aircraft of this company, which in 1932 changed its name to Nakajima Aircraft Company. policy was introduced. In short, this meant that the large conglomerates, which had a lot of power in Japan, were split into smaller companies. This would be a better and safer capitalist system according to the American leaders in Japan, among others. Fuji Sangyo was also divided into twelve different companies in 1950. Of these twelve different companies in which Fuji Sangyo was split up, five of them came together again three years later. The sixth partner was a then newly founded company and together they formed Fuji Heavy Industries in 1953. They started with the production of scooters and trucks, but soon the CEO also wanted to make cars. There was long doubt about a name that sounded good both nationally and internationally. The choice finally fell on Subaru. This cluster is located at more than 440 lightyears from the earth and will be known to many people as part of the constellation Taurus. It is remarkable that without a telescope six stars are visible. Partly for this reason they chose this name. The six companies together formed one new company and a new beginning. In the Subaru logo, the six visible stars of the Seven Sisters companions can still be found. the Subaru 360 and the Subaru 1000. This last model was also the first one where the boxer engine was used. To this day Subaru is known for the frequent implementation of this engine. By using this symmetrical and less high engine, Subaru's cars have a lower centre of gravity and better road holding. Subaru is one of the few car brands that uses these engines as standard. Four-wheel drive is also the standard in almost all Subaru cars. When Nissan merged with the French Renault, the shares of Subaru were sold to General Motors. This formed an important new chapter in the history of Subaru. From 1999 until 2005 some rebadged Opel models were sold as Subaru's, and vice versa. Moreover, the Subaru Impreza was sold for some time as the Saab 9-2X in America. All this ended when General Motors sold the shares again in 2005. At that moment Toyota joined and since 2008 this other Japanese car company has a 16.5% share in Subaru. This resulted in the joint development of the Toyota 86, which is also for sale as the Subaru BRZ. The rear window replacement of the Subaru is often directly necessary when it is broken. In contrast to a windscreen, the rear window cannot just crack or get a asterisk. With a hard impact, the rear window will break up into thousands of small pieces. This is because this window is made of safety glass. This automotive glass is heated quickly and cooled down quickly. This may make it very strong, but it bursts apart in many pieces due to the high tension on it in the event of an accident or collision. However, this is considerably safer than 'normal' glass, because the small pieces can cause less damage than large fragments. Fortunately, the rear window replacement of a Subaru can be done at low cost. Brand dealers ask the main price because they have the exclusive right to sell automotive glass with a brand logo. By ordering through us you can benefit from the advantages of after market car windows. This automotive glass does not have a brand logo and can therefore also be sold by non-brand dealers. This has a very favourable effect on the price, which is considerably lower. Fortunately, the quality remains high and the car windows often come from exactly the same factory. What's special is that you can also choose to replace the Subaru rear window yourself. 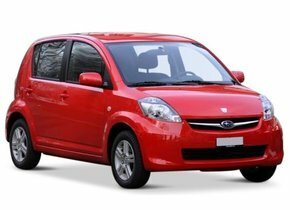 Simply choose the model you have and then the type of rear window you are looking for. We will then ensure that the order is at your home within three working days. Replacing the rear window yourself at low cost is therefore certainly possible. Don't you have this expertise in house? Then you can count on our certified partners. 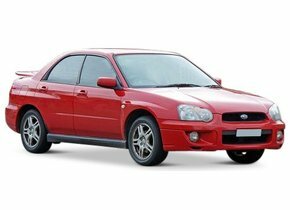 They are happy to replace the rear window of the Subaru on location and also do so at an attractive price. So don't wait any longer and order the rear window for your Subaru right away!